Backing up corporate systems and data stores is an essential best practice and must be a top priority for IT and business decision makers in organizations of all sizes and in all industries. However, there are four difficult problems associated with backup int he context of compliance. 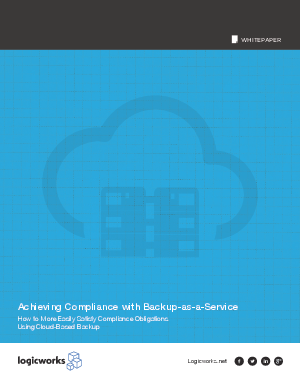 Download this whitepaper to learn more about Osterman Research recommendation to consider the use of a Backup-as-a-Service (BaaS) solution in order to overcome these problems.